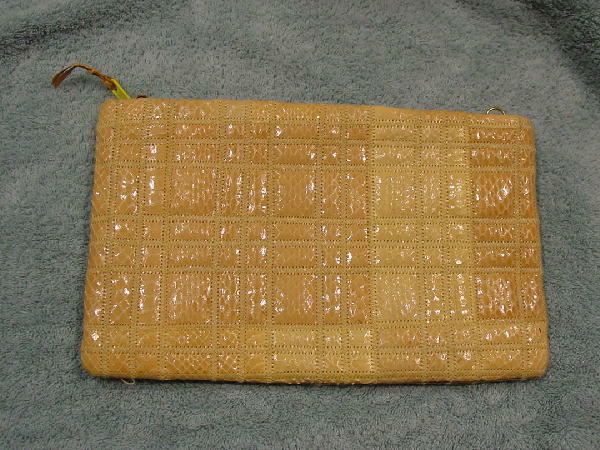 This snakeskin clutch is in a patchwork pattern. 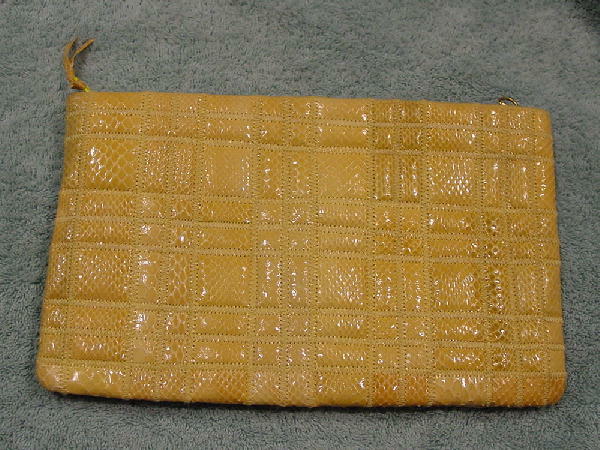 The snakeskin is in maize and sunflower yellow. It has a top side to side bright yellow with a touch of green zipper and pull. There is a bone color vinyl interior with a zippered roomy side interior pocket. It has two gold-tone loops, so you can attach a strap or chain (the purse does not come with either). The back side (lower right side) has part of a scale missing, so the black base shows a little.